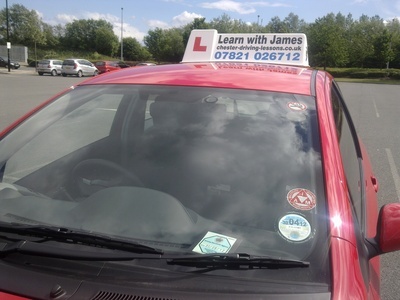 About Us Learn With James Driving School is based in Ellesmere Port and provides driving lessons in Chester, Christelton, Ellesmere Port, Elton, Ince, Mickle Trafford, Saltney, Saughull, Waverton and the surrounding area. Taking your driving lessons with Learn With James Driving School will help you pass your test quickly and easily with a structured course tailored to your needs and requirements. You will benefit from the Learn With James Driving School method of learning to drive which will help you to become a safe, responsible and efficient driver in as short a time as possible. 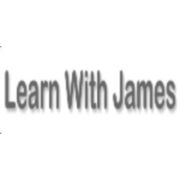 You will find your time with Learn With James Driving School to be challenging yet supportive, moving along at a pace that you feel happy with. Call 0151 201 7339 or 07821 026712 now for details of how we can help you to pass your test and become truly independent! Call 0151 201 7339 or 07821 026712 now for further details. Pass your test with Learn With James Driving School When you choose Learn With James Driving School you'll not only be well on the road to passing your test, but you'll become a confident, responsible and economic driver, saving you Â£Â£Â£s over the course of your driving career. We'll take you further, to new and different places, gaining as much experience as possible before you take your test. When test day comes around you'll be ready for anything and confident that you have all the necessary skills and experience. Learn With James Driving School goes further and puts you first - call now on 0151 201 7339 or 07821 026712 for our latest offers and start on the road to success. Driving Lessons,beginner to advanced, pass plus, motorway driving, refresher lessons.